The Mercedes-Benz German based luxury carmaker has announced the prices for its massive 2015 G63 AMG 6×6, prices that start at 456,900 euros. 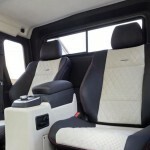 The 2015 Mercedes-Benz G63 AMG 6×6 comes with a higher price than the previous model that cost 451,010 euros, with VAT. The 2015 G63 AMG 6×6 model will be also coming with some standard equipment along with some extra options, all for an additional 5,900 euros. The extra options include the auto dimming rear view mirror, heated side mirrors and much more. However, the number of the units will be limited to only 30 vehicles. 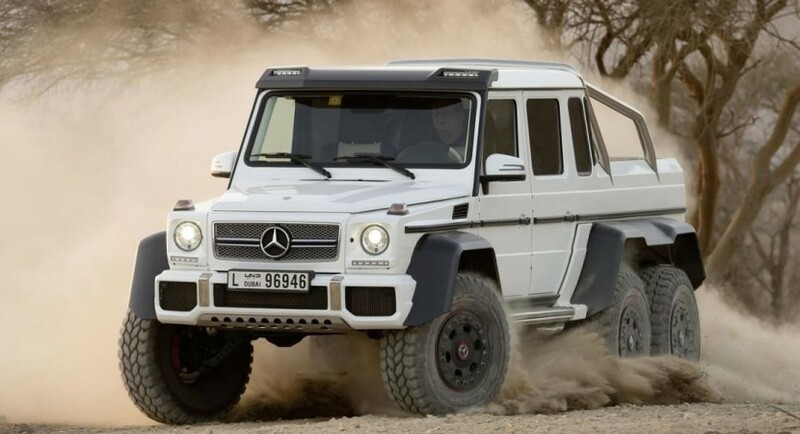 The Mercedes-Benz G63 AMG was launched last year, being a monstrous vehicle on the roads, as it is 5.80 meters long and 2.1 meters wide, being equipped with 37-inch tires. We are also talking about a six-wheel drive along with three axles coming, for a 5.5-liter bi-turbo AMG V8 engine under the hood, developing 544 horsepower and 758 Nm of torque. The Mercedes-Benz G63 AMG is hooked on an AMG SPEEDSHIF PLUS 7G-TRONIC automatic transmission. 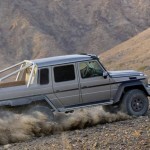 No words yet about the specs coming under the hood for the AMG 6×6.